Tammy Davies was born and raised in South Wales and has sung and acted since she was a child. In school she took part in as many shows as she could, first in the chorus then eventually playing leads, as well as singing in many choirs, including the National Youth Choir of Wales. She left school to study Musical Theatre in Northbrook College in Sussex and after 2 years she gained a place on the Post-Graduate Diploma Musical Theatre course at The Royal Academy of Music, London, under the direction of Mary Hammond, where she was the youngest in her year at only 20 years old. Whilst at RAM she took part in various productions including playing "Mrs Fairfax" in the London premiere of "Jane Eyre - The Musical". She was also a soloist at the Royal Festival Hall Acoustic Tuning Event and performed at the National Theatre's Shell Connections Fundraising Gala at The Roundhouse. She also had the honour of singing with Elton John in the Concert for Diana at Wembley Stadium. She went back to South Wales for a time where Tammy set up and ran her own Theatre Company called Dressing Room Stars which concentrated on working with young people and raising money for charity. Whilst in Wales, she also performed with Once Upon A Time Theatre Company playing "The Wicked Witch of the West" in a pantomime tour of "The Wizard of Oz" and playing "Henrietta" in an original Children's musical called "Little Frankie" which premiered in the Highbury Theatre, Birmingham. During this time, Tammy started working with the West End Chorus, performing in "Chess - in Concert" at the Royal Albert Hall, backing Brian May and Kerry Ellis in "Anthems", also at the Royal Albert Hall and, in a small group from the Chorus, in an intimate concert for Alan Jay Lerner's estate at the Actor's Church in Covent Garden, for a memorial plaque unveiling for the famous composer. More recently, they were back at the Royal Albert Hall, as the chorus for "A Night Of 1000 Stars"
Soon after, Tammy started working with the National Gilbert and Sullivan Opera Company and has been involved with the International Gilbert and Sullivan festival in Buxton for the past 6 seasons; and Harrogate for 3. She has performed in 11 of the 13 G&S Operas in the canon with the Company over 8 years. Tammy started in the Ensemble, playing small roles and, as of last year, covering mezzo roles and then playing "Pitti-Sing" on their 1st UK Tour. Her last two years with the company she was made Dance Captain and then Resident Director for their 5 months National Tour. 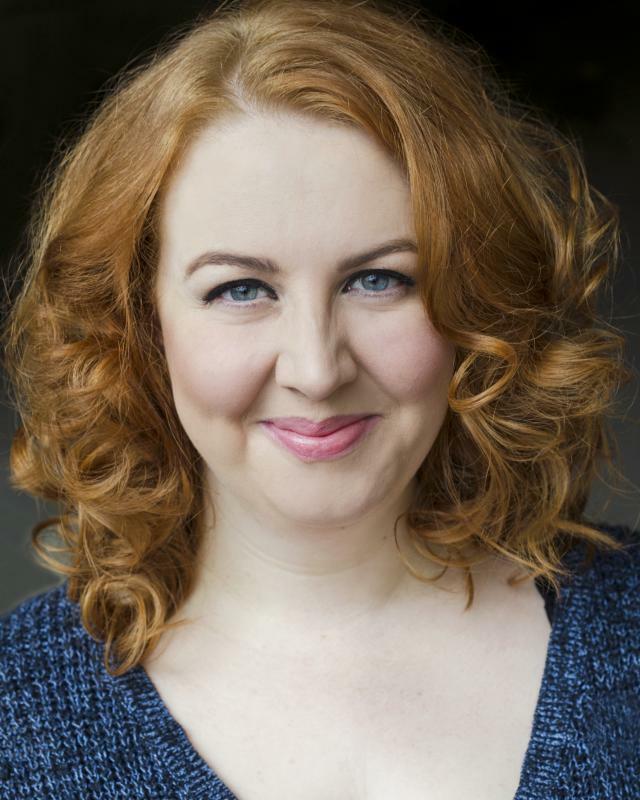 She has also performed with the Carl Rosa Opera Company, in "The Mikado" in the Theatre Royal, Bath and "Iolanthe" at the Chichester Festival Theatre. One of her favourite Gilbert & Sullivan parts was when she had the opportunity to originate the part of "Bertha" in "The Grand Duke" in the first professional production of the opera since its original run 100 years ago in the Finborough Theatre, London. For 5 years, Tammy was part of the ensemble and a soloist at the "Thursford Christmas Spectacular" in Norfolk, the largest Christmas show in Europe and in 2010 she had the honour performing for and meeting Prince William and Catherine Middleton when they came to see the show on their first official engagement together after getting engaged. Tammy plays a number of musical instruments including the Bass Guitar and Bodhran, which took her over to Northern Ireland to sing and play with Bernagh, with whom she got to play at many prestigious events, such as the Olympic Torch Relay and The Queen's Diamond Jubilee Garden Party at Stormont. Tammy has also been involved in organising events, writing and directing. In 2010, she wrote and directed a site-specific production of "The Sword in the Stone" at Kidwelly Castle for Girlguiding Cymru's Centenary Celebrations that was attended by 500 girls. She has also written a short site-specific play for Carmarthenshire Museums based on a book called "The Sandal" and was the Creative Director on a new Production called "Celtic Storm" that premiered in 2012 at the Lagan Valley Arts Centre in Northern Ireland. Her most recent creative project was for Girlguiding Cymru devising, creating and running "Project Spotlight"; a residential Performing Arts project in the Guiding Headquarters of Wales, ending in a performance live, interactive, site-specfic performance around Broneirion House, Mid Wales. She has also Choreographed and Assistant Directing a youth production of "The Phantom of the Opera" for "ClassicFest" at the Harrogate Theatre for young people from all over the UK and Choreographed "The Addams Family" Musical for Llanelli Musical Players. At the moment, she is touring with Bill Kenwright Ltd's Number 1 UK Tour of "The Sound of Music" playing "Sister Sophia" and 1st Cover "Frau Schmidt". Tammy is currently playing "Sister Sophia" in the UK Tour of "The Sound of Music"
Tammy also teaches, choreographers, writes, directs and runs workshops. She also sings in her own covers show, performing in Music Festivals and events around Great Britain. Actor/singer with varied experience from TIE to Choral; Opera to Musical Theatre; Small scale gigs to large scale rock concerts. Also, experience with a traditional Ulster-Scots/Irish band as a Lead Vocalist and Bodhran/Bass player.